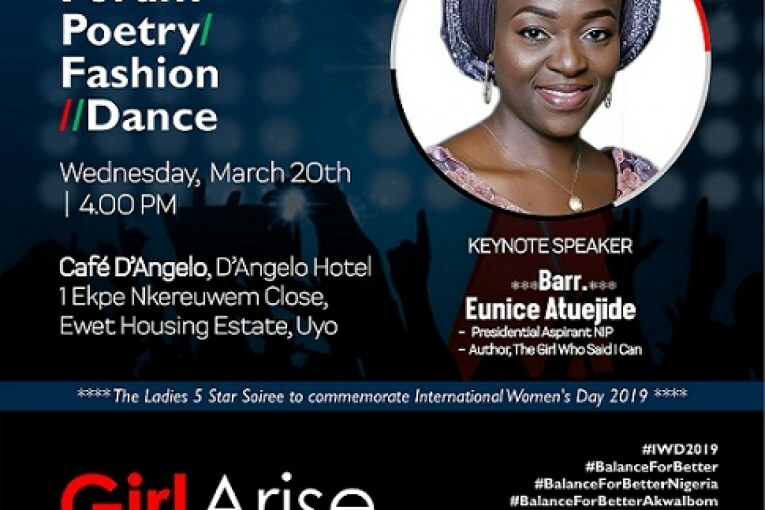 Nigerian business woman, lawyer, and politician, Eunice Atuejide is confirmed to give the keynote address at the Girl Arise Forum & Concert to hold in Uyo on Wednesday, March 20, 2019. 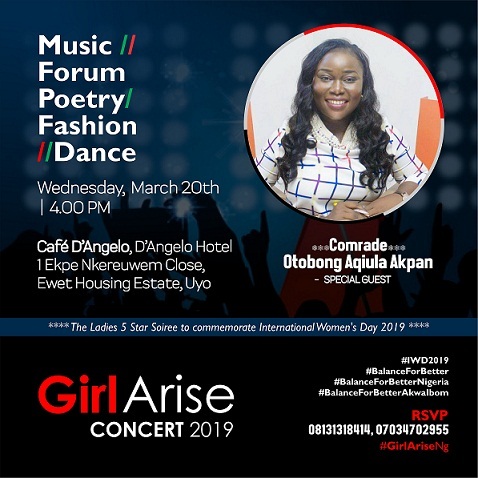 The gig will feature a talk session, fashion showcase, spoken word and musical performances by outstanding girls, ladies and women in Uyo, the capital of Akwa Ibom State. According to the release, ‘ the event is in line with the March 8 United Nations’ set date to mark International Women’s Day, the 5 – Star – all women event is aimed at creating a forum to share stories which will inspire the girl child and shape their future. Atuejide was born and raised in Lagos State Nigeria, although her family originates from Enugu State. She is best known for founding the youth led, technology driven political party known as the National Interest Party (NIP) in Nigeria. She completed the Graduate Diploma in Law, the Graduate LLB, the Legal Practice Course, and the LLM in Professional Legal Practice at BPP University, London, United Kingdom. She then moved back to Nigeria where she completed the professional training programme required for enrolment as a Barrister and Solicitor of the Supreme Court of Nigeria. As a lawyer, Atuejide practices in both Nigeria and the United Kingdom. As a businesswoman, she is involved with IT Consultancy including website development and management for SMEs and charities. She also sources funding for businesses in Europe and infrastructure projects in Africa, Latin America and Asia. 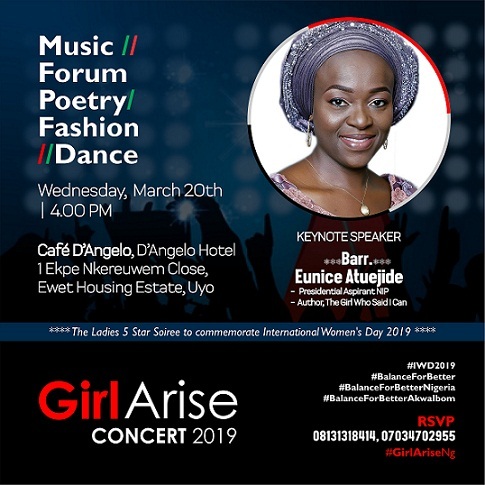 Also a publisher, the author of ‘The Girl Who Said I Can’ and mother will give the keynote address at the Girl Arise Forum & Concert in Uyo on Wednesday, March 20, 2019. The event is an initiative of Rule Nigeria Interactive for Girls and packaged by media and entertainment company, iStritz Limited.